Blog Home > Duty Free Products > Apple iPhones Samsung > Can you really buy that Duty Free Apple iPhone or a Samsung Galaxy? 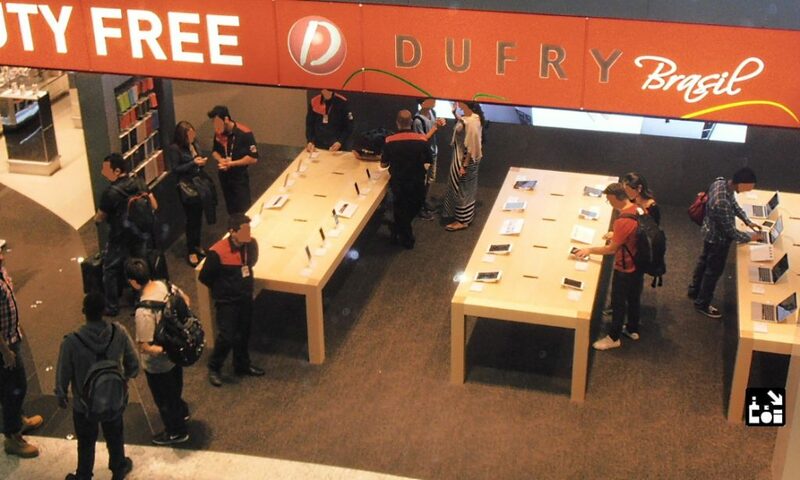 Can you really buy that Duty Free Apple iPhone or a Samsung Galaxy? The whole world is an addict when it comes to smartphone use and the online search for that better iPhone deal goes on and on. But can you really buy that Duty Free Apple iPhone or Samsung Galaxy at discount prices? And should you? The simple answer is no, or at least think twice and very carefully before you buy. And, certainly be cautious for the Apple iPhones, iPads or laptops, who are a maestro global marketing Firm and know exactly how to keep stability for their market and prices*. True, Samsung seem to have slightly more price variances, but in reality these global companies are very good at levelling their prices around the world. And, even if a Duty Free price comparison website tells you that you can save +/-$100 dollars or so in New York or Newfoundland, are you really going to change your travel plans and fly there just to save a few Dollars? Duty Free shopping for Apple in airports… what’s the advantage? Let’s get real, travelers fly for business or tourism, they don’t fix their trip to buy a cellphone. Yes, they want to shop and if they find a bargain on the way, all well and good. But, iPhone round the world airtickets are not widely used, yet! In fact, mobile phones can be cheaper in some airport stores, but this has nothing to do with Duty Free. The phrase “duty free” is widely mis-used by many comparison sites, so to infer that there are bargains to be had. Often the information supplied and the detail is irrelevant or inaccurate, especially when it comes to recovering Tax. Let us explain some of the ins and outs. To help your thinking before you fly to Hong Kong or Honolulu in search of that elusive Apple bargain, just because a price comparison site has told you it will be much cheaper. – Firstly, there isn’t any (Excise) Duty on smartphones, so it doesn’t matter where you buy one, they are already Duty Free. Duty-Free applies to liquor or tobaccos, not to electronics. – Electronics have local Sales Tax on them and in some countries an extra “import duty”, which is why they can be more expensive in countries with high tariffs for luxury goods. (Brazil and India would be likely examples). – The global smartphone trading currency is almost certainly US Dollars, so the bargain you are looking for depends very much on your home currency compared to the Dollar. – If your country of residence has high import duties and a weak currency, your price at home will be expensive and will go up or down with the Dollar rate. But, just the same, you need to buy Dollars, Euros, Yen or Pounds to buy one abroad and if your currency is already weak against these currencies, what’s the gain? – Either way you are stuck with your weak currency against their high Dollar price, so wherever you buy, all you are really doing is gambling on the exchange rates. – If the comparison site shows all the different retail prices in US Dollars, this is not a fair comparison at all because London, Hong Kong, Sydney, Paris or Rome etc etc do not work in Dollars, they all have their own floating exchange rate. So this just distorts the real costs and value to your circumstances. – Anything you buy in an airport when you travel abroad, is sold both Duty Free and Tax Free, these taxes are deducted for you in the stores and the discounts are included in the price already. – Downtown on your travels, the price will probably include Tax, normally local retail sales tax, such as VAT, GST or in the US sales taxes. So somehow, you need to recover this with a Tax Refund to actually achieve the discount. – The next thing to watch out for, is whether these retail sales taxes are actually included in the price, or added on later at the check-out? Duty Free Samsung store, is the sales-tax deducted or added on at the check-out? – A price comparison site might say that an iPhone in California is $700, but did they correctly tell you that around 9.5% will be added when you buy? – This makes your cheap iPhone around $760 and not the $700 quoted on the price comparison site. – Can you get this retail sales Tax back when you buy abroad and if so where? This is even more complicated to work out and only a Global Travelers Tax Refund Firm, like Global Blue can properly advise you on your specific case. The Duty Free on Arrival global shopping database was launched in 2009. We are here to provide rational thinking and to alert you to the pitfalls, before you shop. Our job is to trigger caution before you travel. We are not here to promote one store or another, because we are travelers too and all we want to do is be prepared, before we shop. Just like you do. Other factors to consider when looking abroad to buy a cellphone. -Is the phone unlocked for your network at home? Or is there a 12 month or usage time limit on unlocking? -What is the guarantee on the product, is this global and can you insure it at home? -Where would you need to return it to if you have a problem? -What other languages are on the phone's built in software? -If you try to encrypt your phone, what language does it default to? -Does your home country have Customs restrictions on the import of phones bought abroad? In some countries you must prove a home network connection if stopped on arrival. *There is no suggestion that any Global phone Company directly fixes or manipulates prices, all they do is try to level them where possible to ensure market stability for their products. **We believe that the price comparison websites could be incorrectly reporting for their own benefit, not for the real benefit of their readers. But we have seen some that do not correctly report the actual Tax situation. Previous Previous post: Can I buy Duty Free at the Border, possible and where?